As part of its effort to expand further into wearable devices, Apple is working on a set of smart glasses, reports Bloomberg. Citing sources familiar with Apple's plans, the site says the smart glasses would connect wirelessly to the iPhone, much like the Apple Watch, and would display "images and other information" to the wearer. Apple has contacted potential suppliers about its glasses project and has ordered "small quantities" of near-eye displays, suggesting the project is in the exploratory prototyping phase of development. If work on the glasses progresses, they could be released in 2018. Apple's glasses sound similar to Google Glass, the head-mounted display that Google first introduced in 2013. 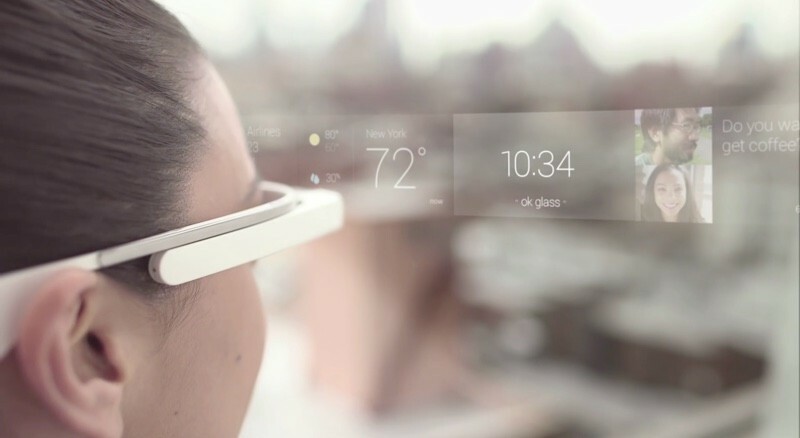 Google Glass used augmented reality and voice commands to allow users to do things like check the weather, make phone calls, and capture photographs. Apple's product could be similar in functionality. The glasses may be Apple's first hardware product targeted directly at AR, one of the people said. Cook has beefed up AR capabilities through acquisitions. In 2013, Apple bought PrimeSense, which developed motion-sensing technology in Microsoft Corp.'s Kinect gaming system. Purchases of software startups in the field, Metaio Inc. and Flyby Media Inc., followed in 2015 and 2016. Google Glass was highly criticized because of privacy concerns, and as a result, it never really caught on with consumers. Google eventually stopped developing Google Glass in January of 2015. It is not clear how Apple would overcome the privacy and safety issues that Google faced, nor if the project will progress, but Apple CEO Tim Cook has expressed Apple's deep interest in augmented reality multiple times over the last few months, suggesting something big is in the works. "AR can be really great," he said in July. "We have been and continue to invest a lot in this. We're high on AR in the long run." Past rumors have also indicated Apple is exploring a number of virtual and augmented reality projects, including a full VR headset. Apple has a full team dedicated to AR and VR research and how the technologies can be incorporated into future Apple products. Cook recently said that he believes augmented reality would be more useful and interesting to people than virtual reality. I would like mine in a monocle form factor, please. That way I can strut around like Mr Peanut, with a look of indignant consternation on the non-Apple iGlasses folks. I buy everything apple, but goofy tech glasses is where I draw the line. I guess Tim Cook really *is* Steve Ballmer 2.0. I know people will dismiss this as a probable repeat of the Google Glass failure, but if something in Apple's labs has them excited enough to actually do it, then I too am excited. AppleWatch + Glasses + AirPods could be the 1-2-3 punch that gradually replaces the iPhone and sets Apple up for the next decade. A full computer on your wrist and glasses that provide a place for larger visual information. AirPods in your ears for full time Siri interaction. That's all you need for a wearable computer environment.